Tags: Black, Cigarette Pants, Full Sleeves, Matching Embellishment, Party Wear, Peplum. Black peplum having matching black embellishment all over peplum and trousers. 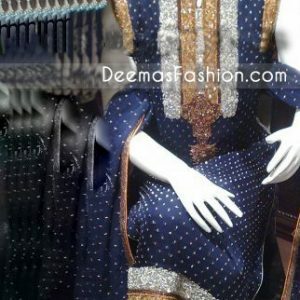 Peplum comes with fully finished matching dupatta.